Que perspectiva maravilhosa!A arquitetura é super moderna, amei! I like this king's crown roof shape! Great perspective! Love the design of this station. Oh, that is indeed awesome! Wow! Incredible capture, JM!! He is an amazing architect. Wow, talk about some great pictures! Your shots are amazing! Thank you so much for stopping by my blog and your kind comment! Love getting comments and especially new followers! Thank you again! Looking forward to seeing more of your blog, and more of you on mine! I haven't seen anything as pretty as this train/subway station. 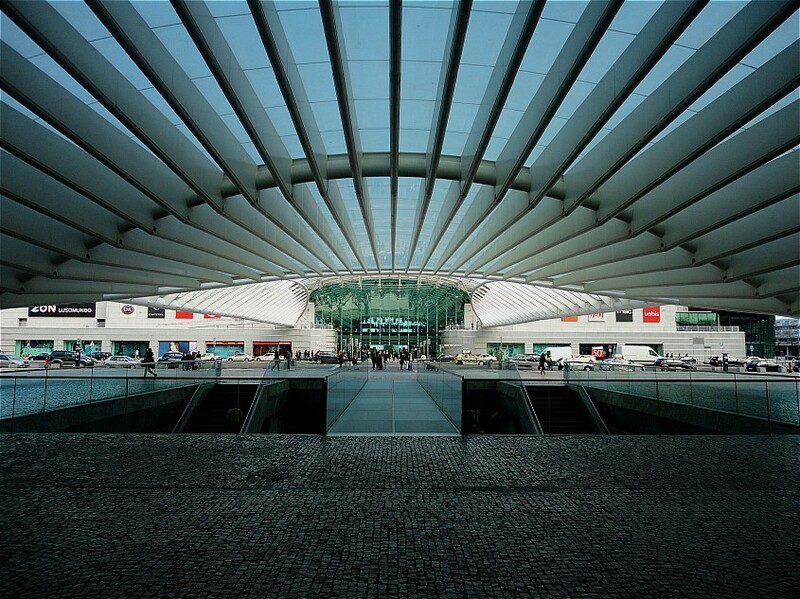 Not a Calatrava fan but I have to grudgingly admire this.... Let's say that I like your photo very much! It's superb - modern, simple and elegant! Wow, you do have classy stations. That is beautiful! The lines really draw you out into the open. Great architecture! I feel compressed but okay but there's light and open space ahead. Wonderful station and wonderful composition. A modern contrast to yesterday's post. It seems the modern railway stations have not lost their power to impress like the old ones did. This image would, no doubt, delight Calatrava. It's beautiful! You receive a grand welcome into the station from this angle!